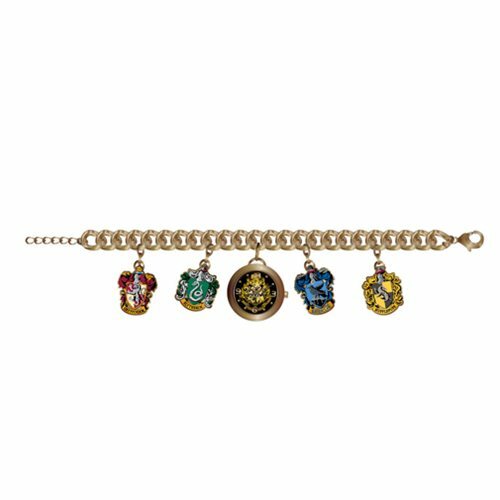 Celebrate your love of the wizarding world with this Harry Potter Watch Charm Bracelet! This elegant, fun bracelet features the house crests from Hogwarts. This Harry Potter Watch Charm Bracelet measures about 6 3/4-inches long and comes with a lobster clasp and extended chain. Ages 13 and up.